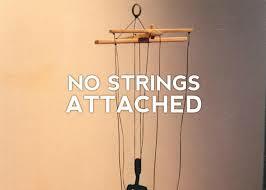 With God there are no strings attached. No need to play puppet…no need to masquerade and act the part of who you are not. God loves you just the way you are. Better yet, He loves you just the way you will become. It seems pretty simple, but sometimes in life we beat ourselves up mentally and emotionally because in others’ eyes we don’t seem to measure up. Whether their expectations are perceived or real, we find ourselves more focused on what “they” think instead of what we think or worse we neglect to consider the only real opinion that matters is God’s. However, there comes a time when you must realize that pleasing God is going to displease a lot of people and you must be okay with that to truly follow Him. And yes, those disappointed people might even share your bloodline. Still, your life is yours for a reason. It’s not meant for you to be led by someone else’s expectations or desires. God knew you before you were born and had already equipped you with everything you need to live YOUR life. I’m finally coming to grips with this myself that what seems the right thing to do for someone else may not be right for me. Sure getting advice is great. In fact, the Bible states you should seek wise council. However, when I think about those who have offered, “I wouldn’t do that if I were you” kind of advice, I have to be real with myself and understand that sometimes the fact that they are not me is what really needs to be considered more. Now I’m not advocating that you go blindly following your own way all the time, but when it comes to your destiny, I strongly urge you to consider somethings before you become a puppet in a play not designed for you. Sure there will be slip ups, hang ups, and pit falls in this Christian journey, but you are not required to stay where you’ve fallen. In other words, God’s grace is sufficient to keep you no matter how many times it takes to get it right. …And even then we can get it wrong. I do everyday. Does that give you a get out of jail free card for intentional sin…no, not really, but it does leave an awesome amount of room for error. Face it if we had the ability to keep it together on our own, Christ’s purpose would be obsolete. But that’s the point. We don’t have the ability to do it in our own strength. We can only live a consecrated life through Christ. 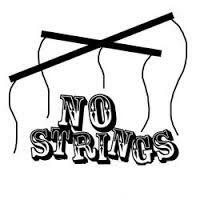 So regardless of how many times you have messed up, God’s love has never had nor will ever have strings attached. So cut the ones others have on you and be real. God never made you anyone’s puppet.